I recently ran out of one of my favorite spice blends and since I have been on a chickpea kick lately, decided to make a new batch and combine the two and it was a beautiful thing. 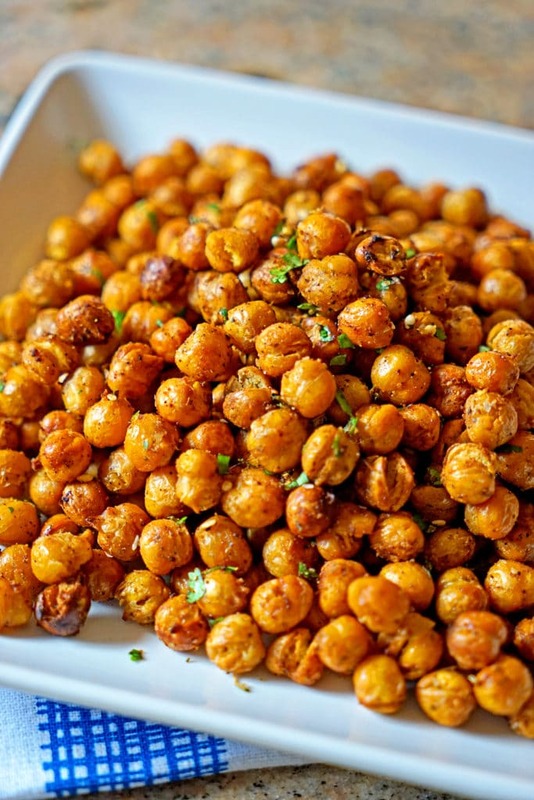 Turkish Roasted Chickpeas. All gone. In less than 30 minutes. We kept popping these in our mouths, one after another and then in small handfuls. Fresh from the oven, roasted to a toasty, crispness and packed with exotic spices and kosher salt. I love Tender Greens and one of their salads has these little, crunchy nuggets in the kale salad. They were a nice surprise and I have been addicted ever since. I love these as a snack. They are easy to make and fill the void instead of those greasy chips and the like I used to grab for that are no longer in the house. 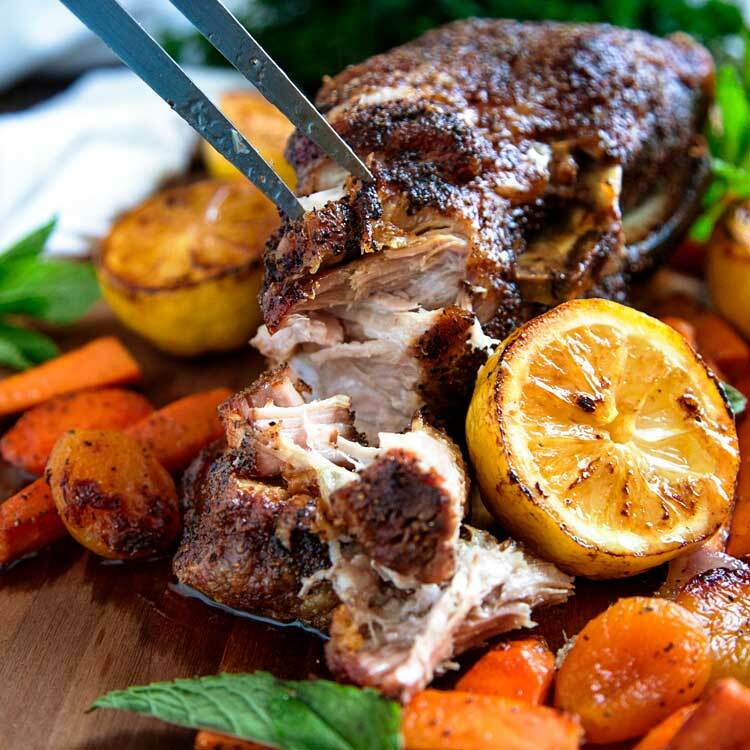 I make my Turkish Spice Blend from some beautifully aromatic spices that include toasted cumin, black and pink peppercorns, oregano and Turkish bay leaf, sweet paprika, cayenne pepper and sumac. 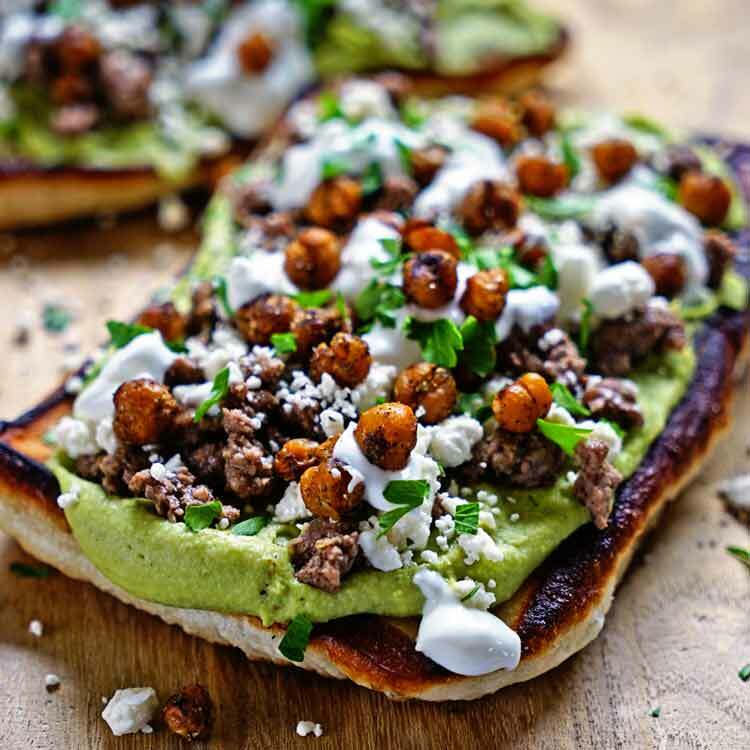 Throw these in your spice grinder, or old coffee bean grinder and whirl away! I then add sesame seeds to the dried mix. The only herb mixed in would be some chopped cilantro, but I toss it in the mix after it’s dried or on top to garnish. I came to love this mix after several different attempts at capturing the culture and flavors I found when traveling there. 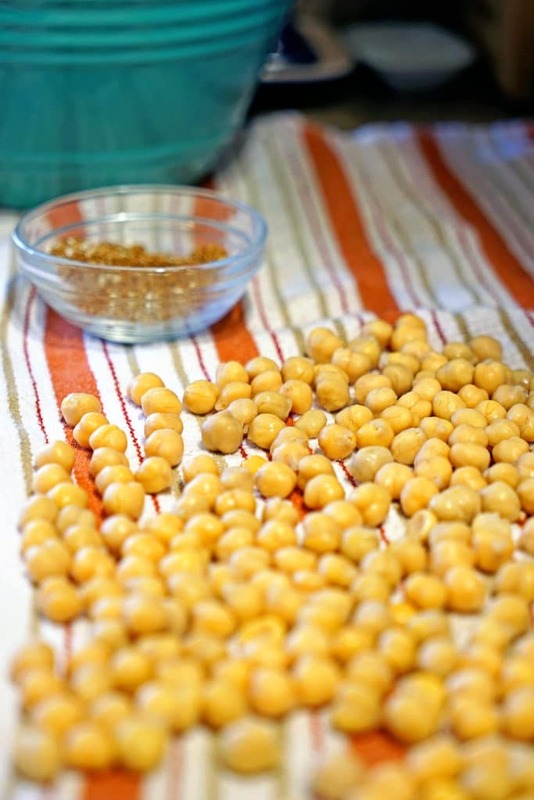 For these you can easily use drained, canned garbanzo beans, better known as chickpeas, or if you want to make your own from dried here is a great method, too. I wrote a post, Forgot to soak your beans? Here’s a Quick Soak Method. Anyways, let’s get cooking here. 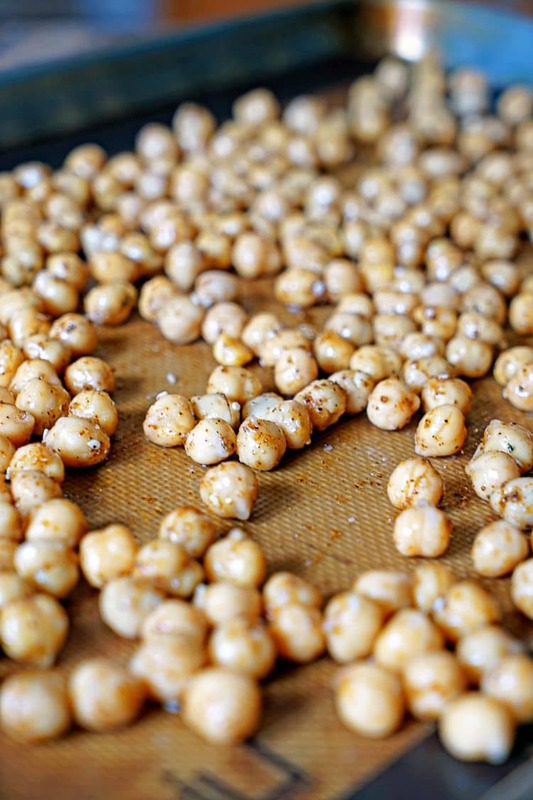 I make these Turkish Roasted Chickpeas often and learned my lesson in that you need a hot oven, like 425°F. You want these crispy, but not under roasted as they will be chewy, and if you go higher in temp it dries them out completely and your teeth are gnashing on chickpea dust. I make the mistakes so you don’t have to. Practice makes perfect, right? 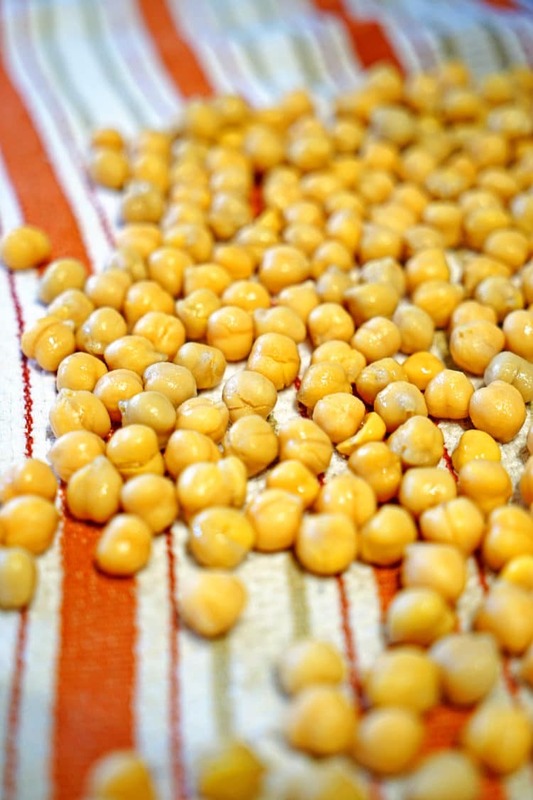 So let’s rinse those cooked chickpeas and dry on a paper or kitchen towel. 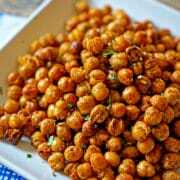 Get a bowl and add the dried off, cooked chickpeas, you want the oil to coat them and the water would prevent that. 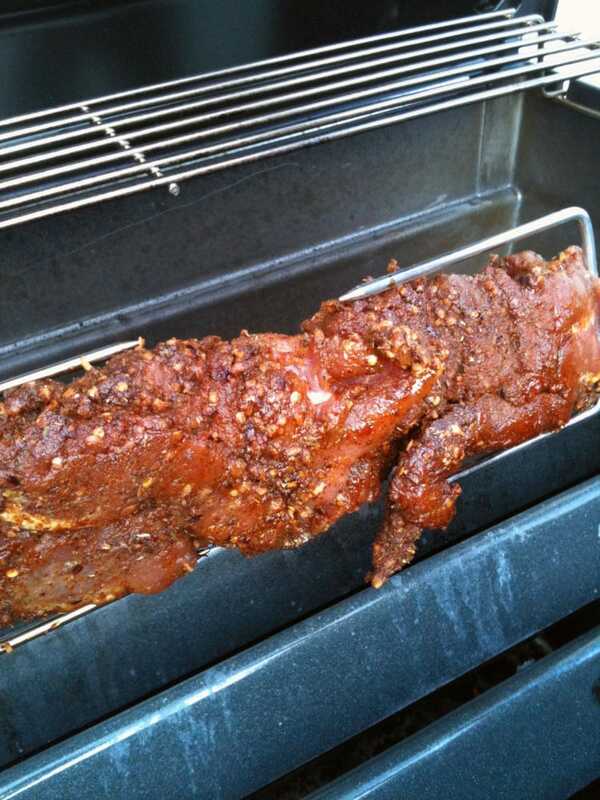 Next, to the bowl add the olive oil and spice blend. 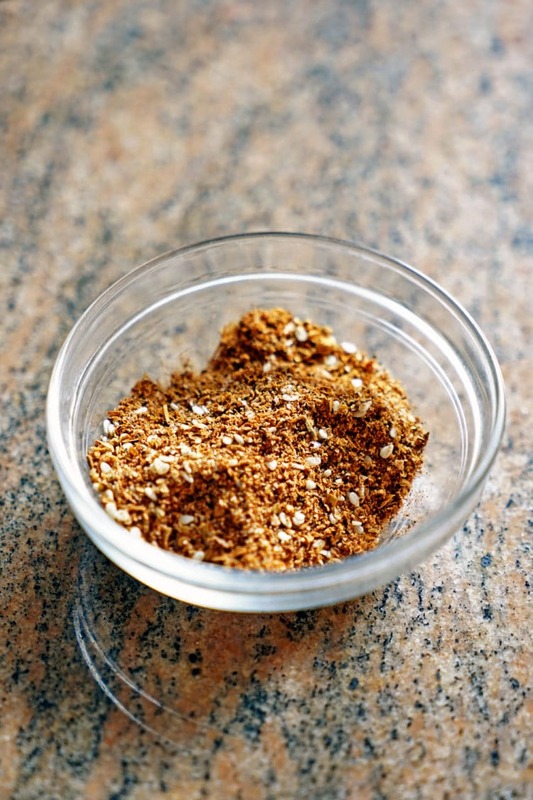 Feel free to use any spice mixture you prefer, but I highly recommend you try this one! Toss to coat evenly and place the coated beans on a baking sheet with edges and aluminum foil, a sheet of parchment paper, Silpat or any silicone baking sheet. I love the Silpat for easy clean up. 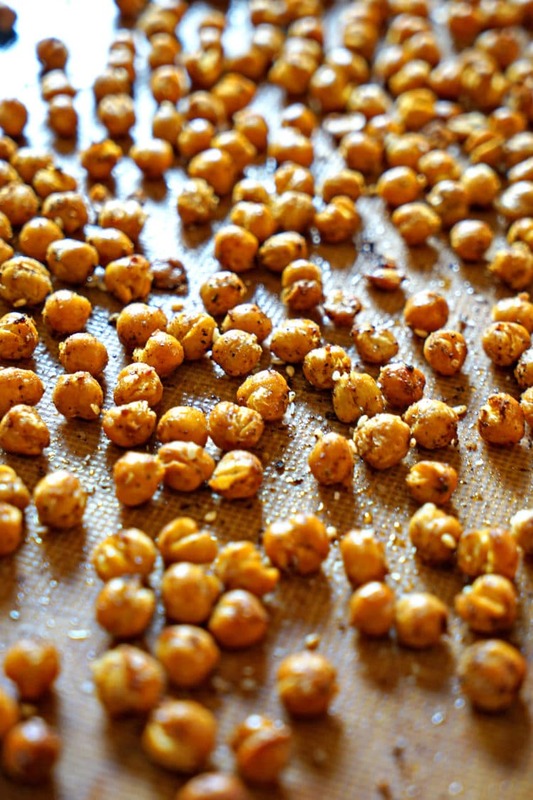 The reason for the baking sheet with edges is so you can occasionally shake the pan easily while roasting to turn the chickpeas. 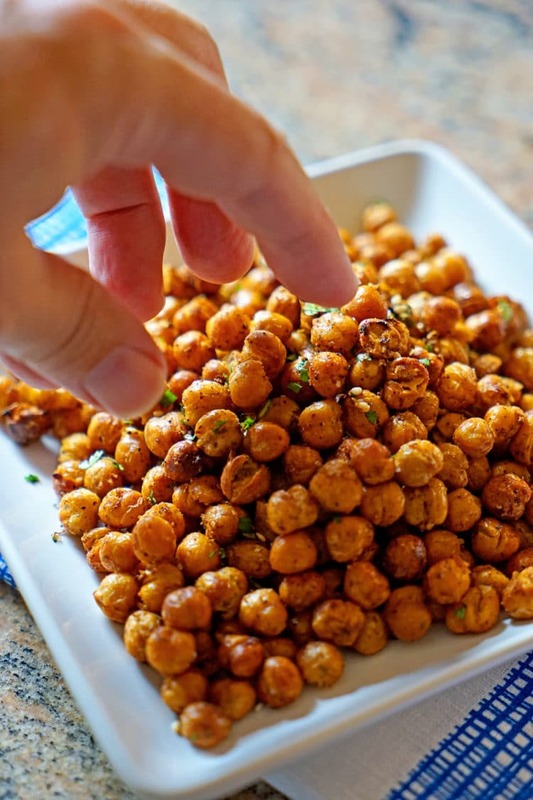 Roast these in a single layer in the hot oven at 425°F for 25-30 minutes. Shake the baking sheet at the 15 minute mark to evenly roast them. Remove from oven and allow to cool slightly. 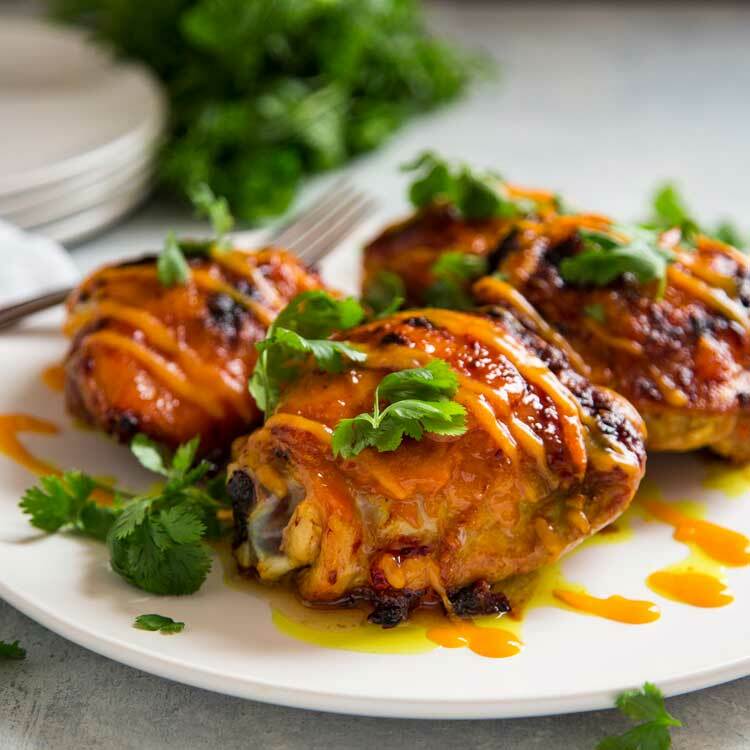 These are fantastic while still warm and the spices are so aromatic and tasty. These Turkish Roasted Chickpeas are simply addicting, but in a good way. Enjoy! These may be stored in an airtight container for several days, but the never last that long in my house. Enjoy! 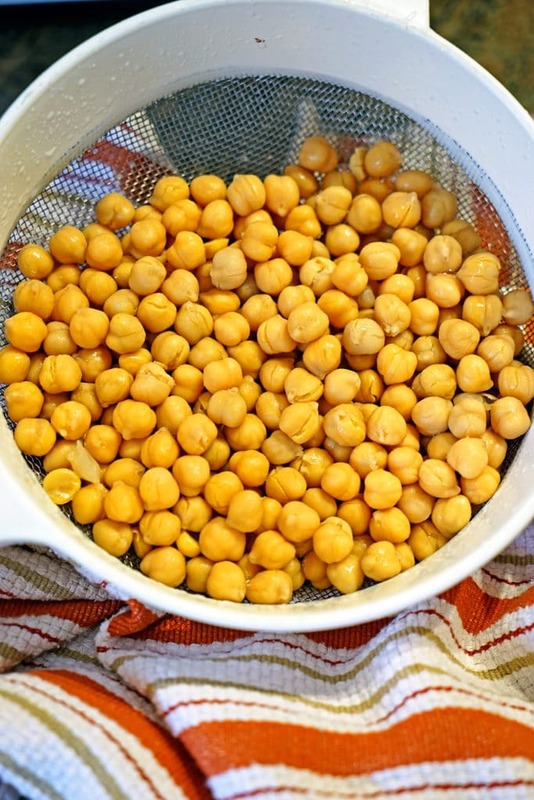 For the roasted chickpeas, dry the cooked drained chickpeas on a towel and in a bowl mix with olive oil and 2 tbsp of the Turkish spice blend to coat evenly. 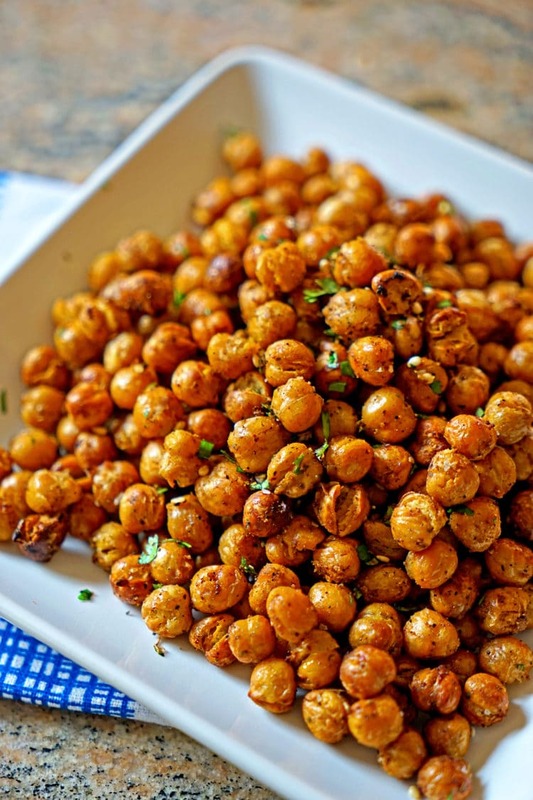 Place chickpeas in a single layer on a lined baking sheet and roast for 25-30 minutes, shaking the pan at the 15 minute mark to turn chickpeas. Remove from oven, allow to cool slightly and enjoy. These may be stored in an airtight container for several days, but the never last that long in my house. The recipe looks delicious. The ingredients call for 1/2cup of salt. I’m just checking to see if that is the correct amount. Thanks! Thank you! (I skimmed through the directions twice – next time I will read, not skim!). Looking forward to trying your recipes. No problem, glad I could assist, enjoy! Where in gods name do I buy sumac? people look at me like I have three heads when I ask for it and also Turkish spice. is it like curry which is a blend of spices if so what are they. Hi Bart and thanks for stopping by and trying the recipe. 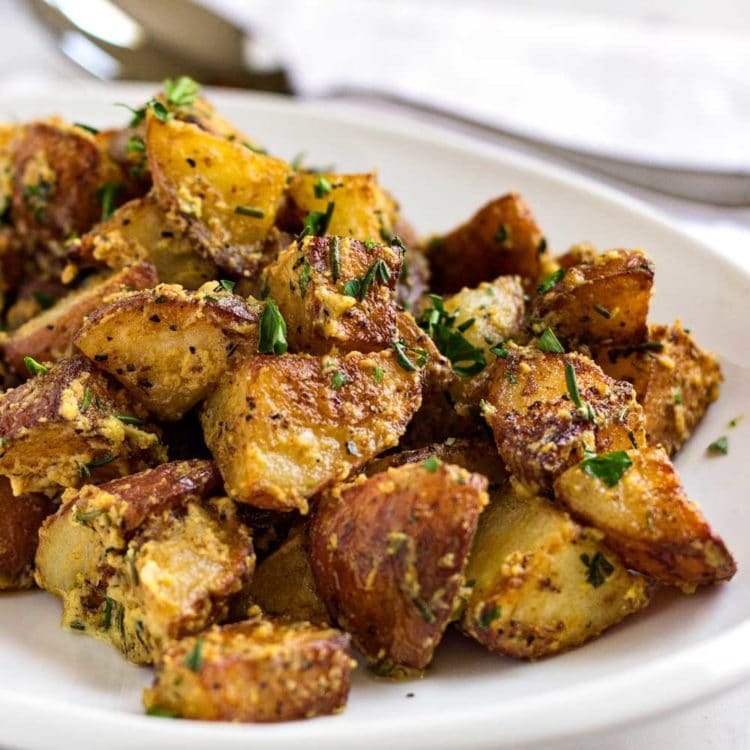 You can substitute lemon zest for the sumac, but it is not completely the same. I would suggest going online to order. Penzeys is a good source, too. I like to make my own spice blends so check out the Category/Spice section here on my site to find more. 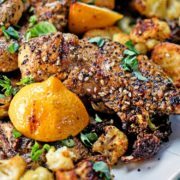 As for the Turkish Spice Blend, the recipe is here on the post in the recipe section with details how to make it. I’ll let you know what the guests think of them! Thanks for your help, Kevin. Interestingly I wasn’t so keen on the finished result but my guests all loved them and, as I had made sooooo many, they took bags of them home! Well I appreciate your feedback and glad you tried them out. So glad you enjoyed them Eunice, Happy Holidays! They’re quite addictive aren’t they? Enjoy.